The Jeep Wagoneer is a luxury 4×4 vehicle. 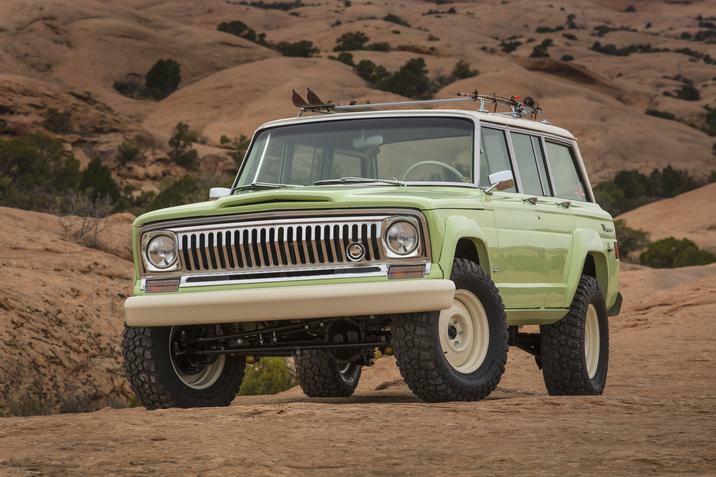 It was originally marketed as a station wagon, but it’s this model that inspired Jeep to coin the term sports utility vehicle. That term would later be ubiquitous and shortened to SUV. The first Wagoneer was introduced in 1963, and Jeep in partnership with other automakers continued to produce these beloved SUVs until 1991. 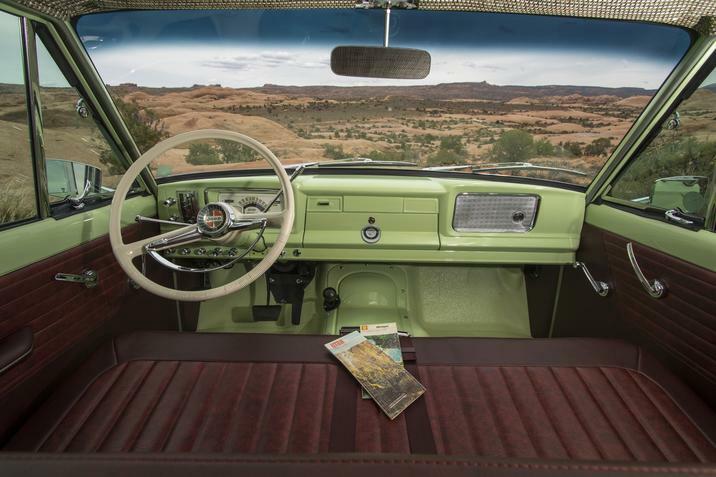 For more than 20 years, there’d barely be a peep about the Wagoneer brand. Then, the whispers came. 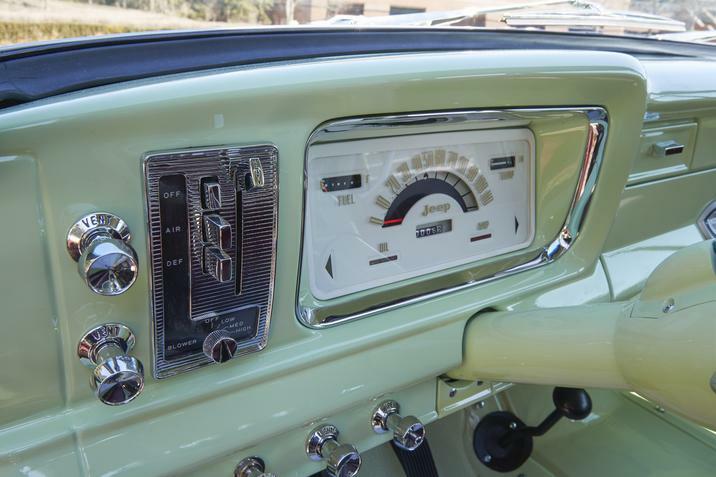 Soon, those whispers became louder and more prevalent, and fans finally received real confirmation about the future: an all-new 2019 model that would be available in Boulder Colorado and throughout the U.S.
As mentioned in the opener, the Wagoneer in Boulder Colorado and elsewhere has always been synonymous with luxury, but that term has also evolved and expanded in the nearly three decades since this model has been available. What we do know is that Jeep is referring to these vehicles as “super premium” rather than just luxury, and experts are expecting even the base 2019 Jeep Wagoneer model to be high-end. The version with the longer wheelbase-which we’ll get to in a moment-is expected to redefine what high-end means for Jeep. In fact, there are marketplace expectations that this larger Wagoneer will compete with vehicles like the Land Rover. Thanks to spy shots taken during test-drives of the 2019 Jeep Wagoneer, we know that there will be at least two wheelbase options. Industry experts expect the shorter of the two wheelbases to be the Wagoneer and the longer to be the Grand Wagoneer. Both should be available at your local dealership serving Denver Longmont Thornton at the same time, and you can contact Pollard Jeep to be alerted when any additional information becomes available. Although exact dimensions aren’t available yet, we can gauge the 2019 model wheelbase to offer enough room for three rows of seats. Expect options such as the ability to fold down the rear seats in order to claim more cargo area. Something else that those spy photos revealed was that those 2017 design trademarks from China that got leaked were most likely legit. Both designs spotted on the road during test-drives bear a striking resemblance to the images included in those design documents. 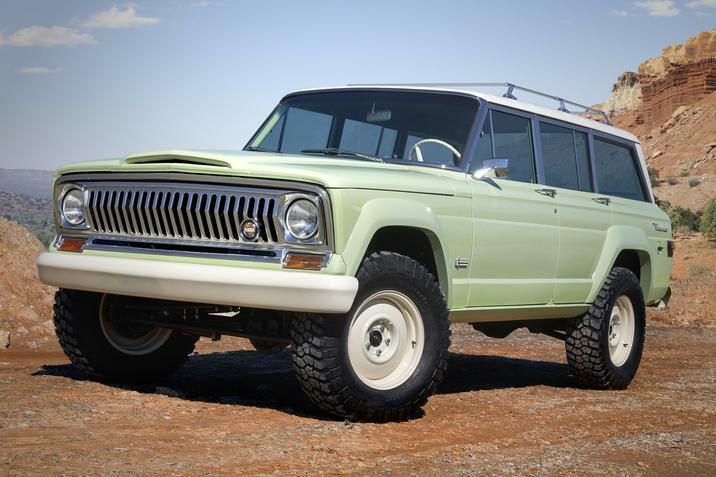 Many of the people who contact Pollard Jeep about the future of the Jeep Wagoneer want a vehicle that’s modern but also true to the Wagoneer heritage. That can be a tricky balance for Jeep, but the vehicles spotted showed a definite kindship with those that had come before. On the other hand, there were enough changes to know that this is something new coming to the dealers serving Denver Longmont Thornton. 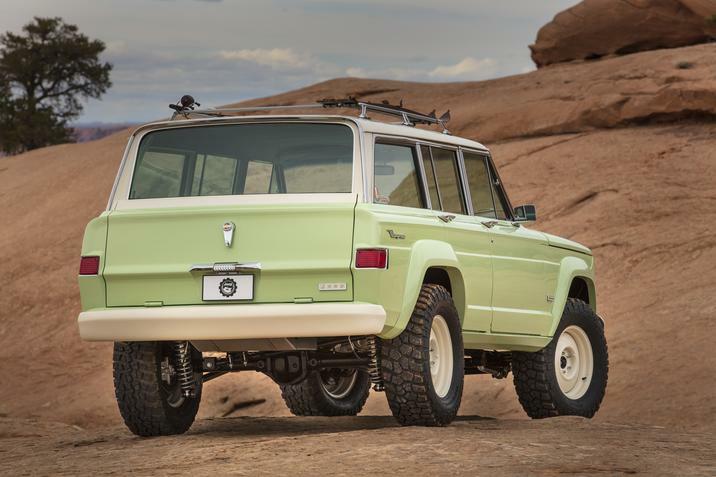 Something else we know about the future of the Wagoneer is that both wheelbases will make extensive use of aluminum in order to keep the overall weight to a minimum. The 2019 model features wraparound headlights that are quite narrow, and there’s a distinct lamp underneath. The front fascia in both cases is quite striking-even through the camouflage-and bears a slit below the grille. Both 2019 Jeep Wagoneer models also have wraparound glass at the hatchback. Taillights are thin and horizontally set, and there are lower reflectors as well as rectangular exhaust outlets that match those design drawings we mentioned earlier almost exactly. Manufacturing is ramping up, and as it does, we learn that the vehicle will based on the next-generation Ram chassis and actually assembled on the line where the Ram trucks were. One insider with extensive familiarity with the Wagoneer likened it to the Escalade in terms of strategy and overall size. Some have been quick to paint this as a marketing transition for the Dodge Durango, but as more information becomes available, it’s obvious that this is something much more novel and aggressive. Based on information about the Ram, we know that air springs are likely as is hybridization. Strong guesses for the engine include 5.7L and 6.4L Hemi V-8s as options and the 3.6L Pentastar V-6 as a base. Altogether, this is really exciting news and an indication that the wait was worth it. Sure, you’ve been waiting for almost 30 years, but that wait is almost over, and the all-new Jeep Wagoneer will be available in Boulder Colorado soon. The details provided here are sure to have whet your appetite, but we know that you want more and as soon as possible. We encourage you to contact Pollard Jeep, a dealership serving Denver Longmont Thornton, to get the latest information and be notified when new details emerge! Call today or stop in for a visit.